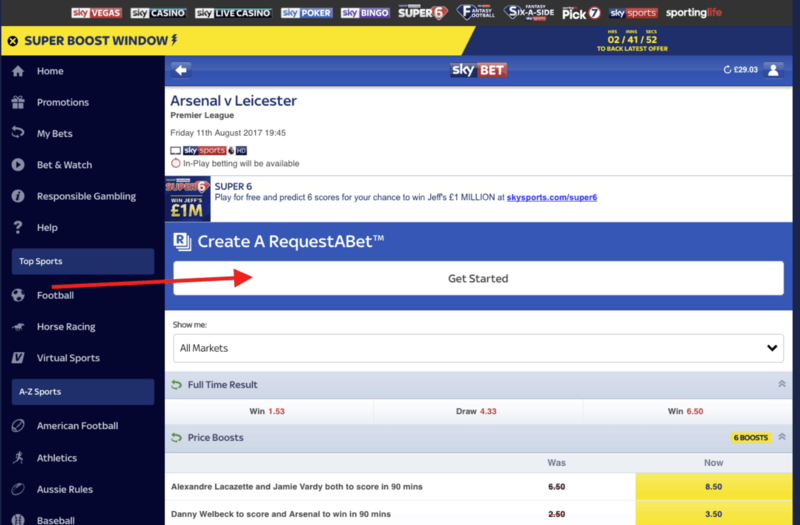 One of the many features that Skybet offers is the RequestABet feature. 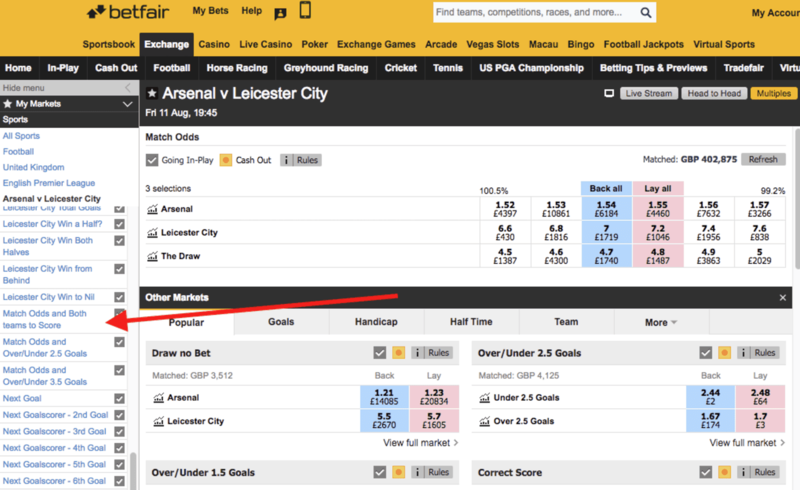 Using this feature, punters can request a bet that bookies traditionally do not offer. An example of this is “Messi to be carded, Messi to score, and 10 or more corners in the game”. You can request up to a combination of 4 bets, and Skybet will price it up for you. Sometimes Skybet run a promotion where if you place a 2 x £5 bet on RequestABet, you’ll get a £5 free bet. Any other RequestABet cannot be layed, but we can view them as an advantage play if we are taking on the bet £10 get £5 free bet. On the Skybet mobile app, or on the mobile version of the Skybet website, just click on any football game. Or, if you’re on your laptop or desktop, just enter “m.skybet.com” into the address bar and hit enter and you should be on the mobile site. 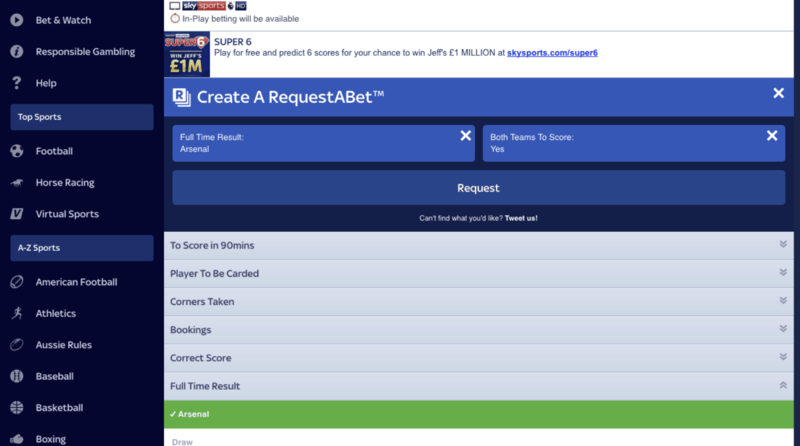 Click into the football game you want to request a bet on, and you should be greeted with a large “Create a RequestABet” banner and a “Get Started” button. On the screenshot above, I’m using my laptop and on m.skybet.com. Click on the Get Started button. You will them be asked to select 2-4 bets. There are a variety of bets to choose from and in this example, I’ll choose Arsenal to win and Both Teams to Score. I click on the Request button. So now all I’ll have to do is just check back later to place my bet. When your RequestABet is accepted and priced by Skybet, it will appear under the RequestABet section of the game. To lay this, go to the Betfair Exchange and click into the game you’re placing the bet on. 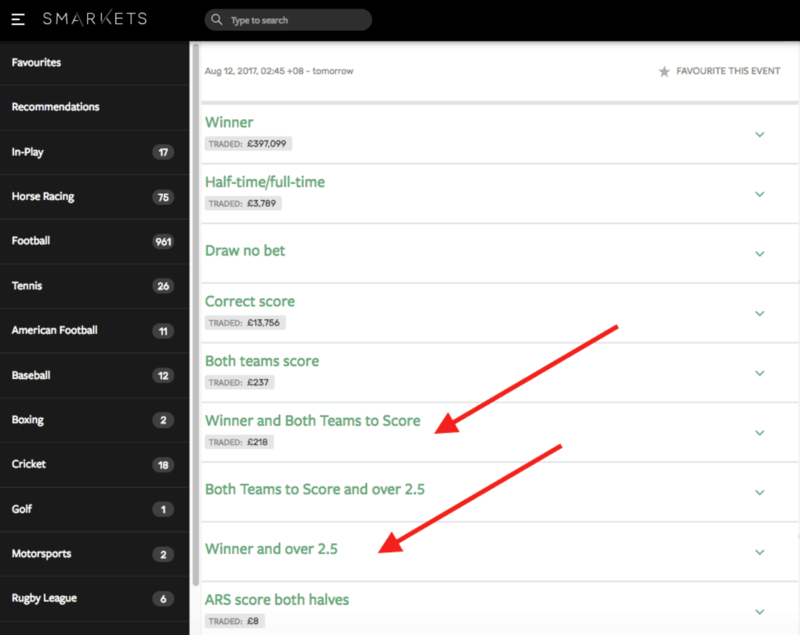 Scroll on the left bar until you find the “Match odds and Both teams to Score” or the “Match Odds and Over/Under 2.5 Goals” market, depending on which RequestABet you are betting on. 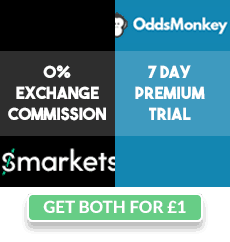 On Smarkets, you can find the same markets to lay as well, but the liquidity on Smarkets is not as good as what you can find on Betfair. However, if you can find close matches on Smarkets, laying your bet on Smarkets would be preferable because of their lower commission rate.